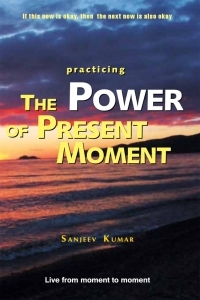 SANJEEV KUMAR is a recognized worldwide Spiritual Teacher and deep thinker. His extensive research on the power of the present moment is helpful for everyone on this planet. He lived with monks and gained profound knowledge. He is an acknowledged leader in this field. His spiritual evolution started a long time ago, when he had a near death experience and nervous breakdown. All of a sudden he realized that there is always life after death.